Release, Relax, Recharge and Rejuvenate with a healing gong and sound journey in London, Camden Town. It’s like a safe, healthy, Alternative High for some, a creativity boost, a total release of stress, or just a release from your usual busy head space. Pure relaxation, and beautiful space to be in , possibly see colours or visions. A special and incredible Healing experience. Different for everyone, and even different each time!! Fantastic for stress relief, relaxation, insomnia and more. Many people report back as having had ‘the best night’s sleep’ after having attended. No experience necessary. The Gongs and other instruments do all the work. All that is required is a willingness to accept and receive. Please bring Mat/Blanket/Cushion and Water. This is important for your comfort and warmth. Seriously please PLEASE it’s your exprience, don’t rock up without a mat!!! Facilitator: Odette Kurland is a Gong Healer Practitioner, Reiki Master and Meditation Faclititator. She has trained with various Gong teachers including Don Conreaux, Abby delSol, Tom Soltran and Sheila Whittaker. Feel free to contact Odette, should you have any questions. Sorry no refunds. However if you can no longer make it, you are welcome to transfer your ticket to a friend. Please informs us by email in advance of the name change for our register. 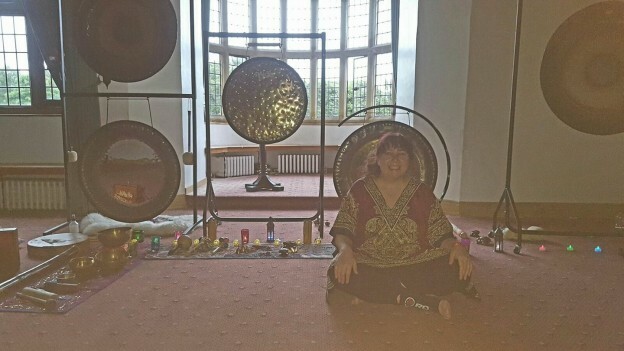 This entry was posted in and tagged gong bath Camden, gong bath london, Gong Bath with Odette, gong meditation london, sacred sound meditation london, Sound Meditation Camden, Sound Meditation London on 10th March 2018 by Odette.